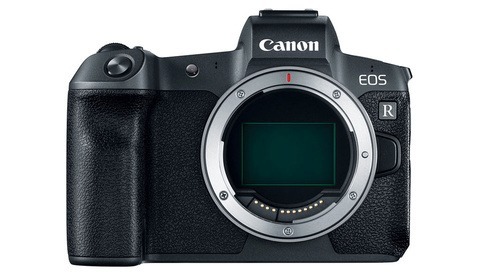 It's clear that Canon intends to bring more bodies into their EOS R mirrorless line. Now, it looks as if an ultra-high-resolution camera may be part of what's in store. 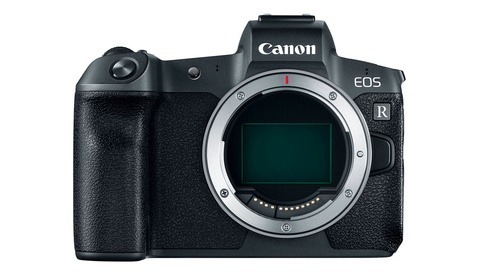 Canon Rumors is reporting that an EOS R body with just over 75 megapixels is in development. While Canon has the 5DS R, it wasn't until the 80D and subsequent cameras that we saw a marked shift in sensor quality and dynamic range from the company, so it would be quite interesting to see how a high-resolution sensor made with their newer techniques performs. Looking at the current lens lineup, I can easily believe Canon is planning such a move. The company seems to be aiming for pretty high standards with their RF lenses, and as such, it would be a reasonable move to see them release a body that could take advantage of those optics and give them major bragging rights in the full frame arena. As discussed before, Canon seems to be diverting some additional attention away from DSLR development toward mirrorless development instead, and it's likely that that would specifically be for the replacement body for the 5DS R. One thing is for certain: 2019 is going to be a very exciting year for mirrorless shooters. Head over to Canon Rumors for more on the story. I Hope they do more with MILC, not like the 5DS R with so much compromises.. I hope they build off of the 5DSR, a great instrument. WOW! What will that do to video crop. 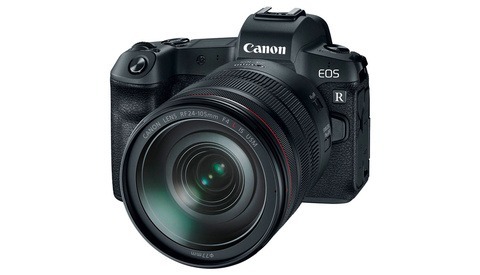 If Sony releases the A9R you will know something big is coming from Canon. I love my 5dsr but would like to see a few improvements. I’m fine with 50mp 75 would be nice and if we could get 7-8fps, better lowlight ability and two cfast cards. If they do that I’ll pre order immediately. I’m not sure I’m convinced with this idea of perceptual megapixels. Besides there are plenty of very sharp lenses available for full frame now and the latest lenses for RF mount are supposedly pretty incredible. A lot of lenses for full frame right (at least on the DSLR end) are dated and struggle on even 30-50MP sensors. I get that the newer lenses coming out are much sharper, but it seems like putting the cart before the horse to release a 75MP body before releasing a good set of lenses that are ready for it. I'm not talking about "perceptual megapixels" or some other made-up metric here. I'm talking about actually looking at the image 1:1 and seeing the result at native sensor resolution. Neither Canon or Nikon have been refreshing their glass fast enough to really keep up with this increasing resolution on the sensor end (Nikon, especially). Before anyone goes off about "pixel peeping", people who are in the market for a 75MP camera are generally the type are are looking to be able to squeeze quality from the full resolution of the sensor. If you're not interesting in details at that level, you're usually way better off buying something in the 24MP range anyway. If you check out the Canon Rumors story, they mention a bunch of lenses coming along with the body. Hopefully they're somewhat affordable. I guess we'll see. I hope you have a very loose definition of "somewhat." Given today's prices, I'm setting the line at $2000 for a prime lens and $2500 for a zoom for it to be considered "somewhat affordable" for high end glass. Of course long telephoto primes are always going to be stupid expensive, but we're talking about the lenses that most people use (between 24mm-200mm). For me personally, Canons tilt shift lenses are more than capable with even high-resolution sensors. On that basis, I'm not too worried about resolving abilities. Also with art lenses and Zeiss lenses available especially like the 135mm f2.0 (f1.8) I don't think high-resolution sensors are going to pose any major issues with current lenses. Having said that I think you make some good points. If this is so, then the fact that they've introduced such top line lenses with the R makes more sense. Middle of the road lenses won't do well with a high pixel density sensor as has been proven by the 5DsR. Very cool, I really support new directions in the tech. I have a Foveon and love it, now if canon can do better I'd be really happy. That's tripling the number of pixels without making the sensors bigger. So that's pixels that'll be 3 times smaller, IE gathering 3 times less light. They're gonna need to be pretty damn good, or there's gonna be a lot of noise. But wasn't the biggest issue with the EOS R the lack of IBIS, especially when two of their native lenses don't have stabilisation ? Been using the 5Ds for a while now and when doing fashion i'm often cropping in. Have to say I can always do with more MP. Sony is talking about going 16-bit which is a lot more compelling to me even though I don’t shoot Sony. I completely agree. 16bit is much more effective upgrade than having more megapixels. I hope canon offer 16bit. new trick for selling more!!!!!? !